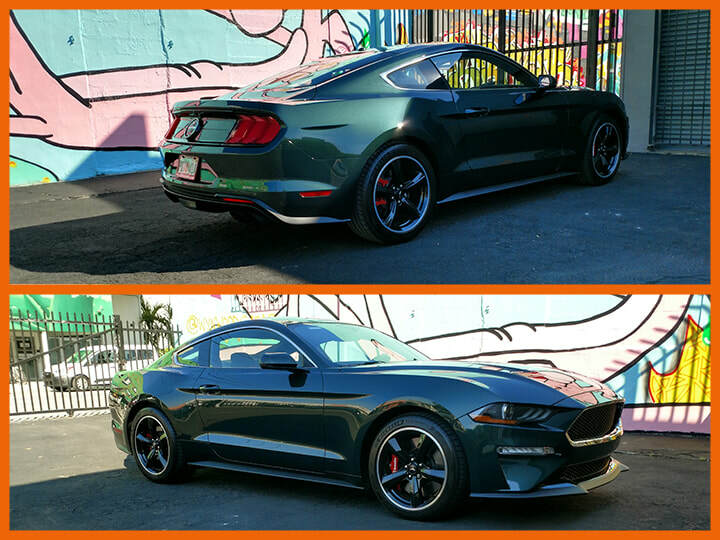 Take A Look At Our 2019 Ford Mustang Bullitt! Grab the cue-ball shifter, and you're Steve McQueen a half-century ago. The Coyote 5.0-liter V-8 makes 480 horsepower, 20 more than the stock GT, and redlines at 7400 RPM. "Bullitt" badges abound -on the dash, the doorsills, the steering-wheel hub, the rear end - in case you forget what you're driving. If you'd like to see more information this beautiful car check HERE. Our 68 Camaro was featured in a music video! Our 1968 Camaro RS SS was asked to be featured in a local musician's music video. We enjoyed the unique opportunity and were glad to help out a local artist. The video is called Super Sport, and we will update this page with a link to the video as soon as its up! Check us out at the 48th Annual Miami International Auto Show at Miami Beach! The 2018 Miami International Auto Show opens tomorrow, October 4th through 13th. This massive event which is among America's top five auto shows will be showcasing hundreds of cars and there's even some automotive manufacturers that are expected to unveil some of the newest additions to the industry.We decided to give you an early look at our car that'll be there. 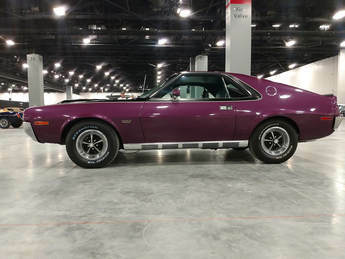 We are bringing our 1970 AMX, a beast of a muscle car that we just had to show off. If you'd like to see more information about this monster HERE. 1968 Plymouth GTX - Go To Extremes! From 1968, this classic example of a "gentleman's" muscle car is a guaranteed neckbreaker. The GTX was to be an exceptional blend of style and performance. Living up to its expectations, 664 HP, six speeds, 11 seconds, this beast wont let you down. There is nothing like riding down your favorite scenic route with the top down and enjoying the day. Our very own GTX was on the cover magazine of Hot Rod Magazine, found HERE. 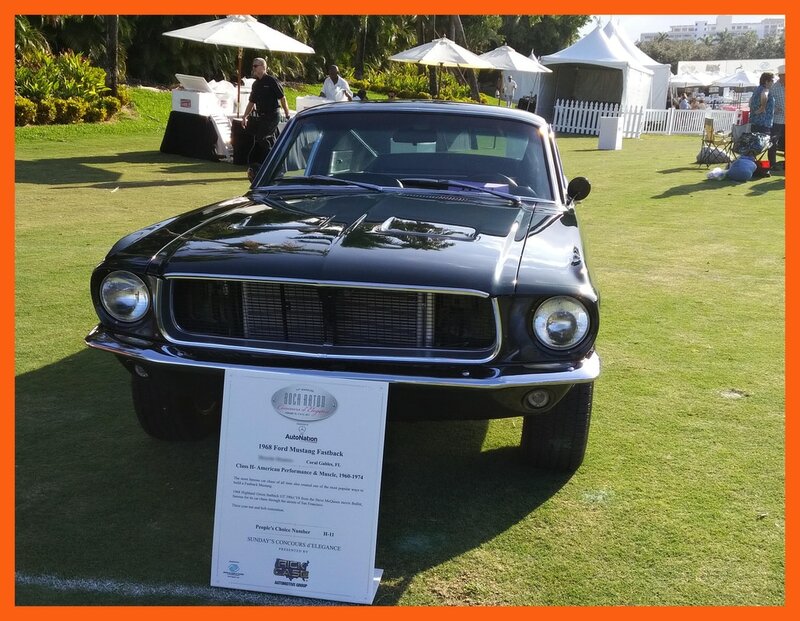 ​​We Are Thankful for The Opportunity to be a Part of the 11th Annual Boca Concours of Elegance! The Annual Concours of Elegance is the fastest growing Concours in the nation and the world's largest for charity, and we are happy to announce that on the days of February 10th - 12th we were a part of it! Hosted at the Boca Raton Resort and Club, this event had an extravagant display of everything from exotic cars to private jets, all to the benefit of the Boys & Girls Club of Broward County. ​Check Out This Rare 1 of a Kind 1968 Mustang! This Mustang is extremely rare, when it rolled out of the factory back in 1968 this particular mustang had some very rare options which makes it 1 of 1. Unlike most mustangs this one here came with what is called a convenience control panel. Four lights which are located right in the middle of the dashboard they indicate when your fuel level is low, when your seatbelt is not on, when your door is open and when your in park. The Mustang also came with red knitted bench seat, GT equipment group, chrome styled GT steel wheels, deluxe steering wheel, tinted windows, 8,000 rpm tach with trip odometer, visibility group, and more. "Night RiDDer" is a short film of the Mustang Fastback GT500 Eleanor rambling the streets of Miami. 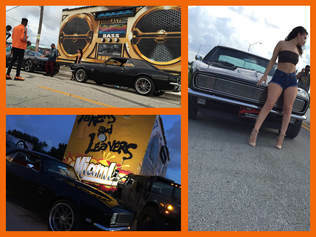 ​Once again one of our Cars is in the South Florida Auto Show's Finals! Our 1969 Plymouth Road Runner is a finalist in the 2016 South Florida Auto Show in the Memory Lane category! Our Car is in the South Florida Auto Show's Finals! Our 1956 Mercury Monterey is a finalist in the 2015 South Florida Auto Show in the Havana Classics Category! Click on the link below to see! This car was completely stripped to the metal prior to being fitted to a full restoration where the body was massaged to show quality standards. You can find us every year at the South Florida International Auto Show and other classic car shows located in South Florida! We specialize on classics / muscle auto mobiles, we will give you top dollar. Call us! RM Classic Autos ranked in the Miami International Auto Show's Havana Classics category!